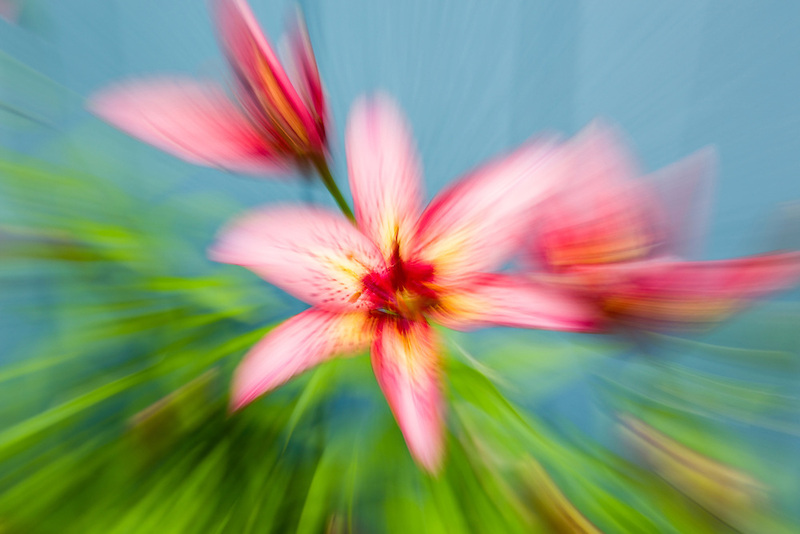 Creative in-camera zoom blur of Tiger Lily in garden in Southcentral Alaska. Summer. Afternoon.